Wowz so a lot’s happened since last we spoke. Sorrys for the lateness. We’ve started working for a few hours on a Wed morning at the West Philadelphia YMCA, lending a hand at a summer scheme there and nearly drowning in the process. Every single child there is black except for one, (on closer inspection he’s actually albino). This stands in sharp contrast to Drexel University, our hosts, where most students are white. From first impressions, America really does seem much more racially divided than Europe and the fact that West Philly is the poorest part of the city doesn’t help. On a more upbeat note, we went to New York City on Saturday which was HellaBallsToTheWallsAwesome (I think that’s a French word) and definitely an improvement on the original York. Touristy sightseeing was the order of the day, taking in Liberty, Wall Street and Ground Zero. We’ve a couple more trips up there to come. Good times. Trips to the National Constitution Center, Independence Hall and Liberty Bell on Friday were also pretty cool, along with a visit to the Philadelphia Museum of Art on Sunday, of Rocky fame. Every American history museum we’ve seen so far has been incredibly patriotic in its presentation of the facts, which makes things more interesting but a bucket load of salt is also required (or saline equivalent: the average US pretzel). The ‘Freedom Rising’ presentation at the Constitution Center especially is just tear- jerkingly patriotic. The Constitution for Americans was presented like the Resurrection for Christians- a woman bounces about the stage expounding American Colonial history (following the subtle historical philosophy of TheBritsAteBabies-ism) as four giant screens descended from the roof to completely surround her with flames followed by images of the Apollo Moon landings, fall of the Berlin Wall and the Civil Rights movement. How much of that is contained within the Constitution I’ll leave to you to decide… But the patriotism was still sweetly endearing and if you can’t be proud of your country at a museum dedicated to its founding, something’s clearly up. I’d certainly like to have bits of the US Constitution in the UK I s’pose. Otherwise, the work’s heating up, as is the weather. We’re in for 105 degrees tomorrow. Somehow three hours of class today was spent scaling a climbing wall and last night we were round a professor’s house for a screening of Rocky in his back yard. Surreal but awesome. Staying with an American family for the weekend, they have a swimming pool and XBox Kinect. So many levels of win. A jet- lagged hello from Philadelphia! Arrived on Sunday and staying in dorms over looking the city giving an amazing view from my 9th floor room. Excitement, excitement EXCITEMENT. These Fulbright guys really don’t want us to pay for anything. Two days into Philadelphia we’ve already been given mobile phones, loaded with $30 credit, transport passes and all our meals covered. And next week we get a cheque for $750 for whatever other expenses we might have. This is good. 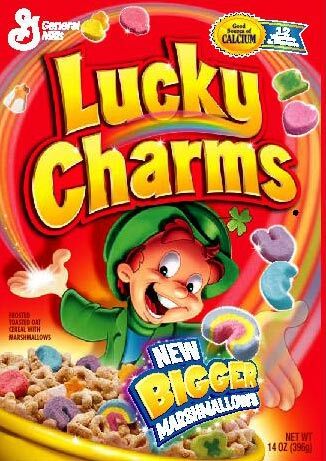 I don’t normally like to start the day with an offensive self- stereotype but having Lucky Charms for breakfast was too hard to resist, especially when someone actually tracked me down to show me them. Food here is all you can eat, which so far has entailed ‘more than you really should’, which I understand is an ancient American tradition. Classes started today, general introductions all round. Worryingly for a physics student, it seems I’ll have to talk about my ‘feelings’ and other awful, unquantifiable stuff. We’ve essay and research based classes on American society which entail reading Why We Can’t Wait by MLK, Dreams From My Father by Obama and The Soloist by Steve Lopez plus going on cultural trips for ‘research’. This weekend that means heading up to New York to see the Statue of Liberty and Ground Zero on Saturday, followed by the Philadelphia Museum of Art on Sunday. This is also good. We also have classes on ‘Social Issues in America’ which are part sociology, part service projects. Today we had a talk from the service head of the Penn Charter School who seems to have founded a hundred NGOs and tomorrow morning we’ll be helping out at a summer camp for disadvantaged youth at a YMCA in West Philadelphia (born and raised…). Most interestingly, we also have classes on public speaking by the most enthusiastic professor I’ve ever met. We’ll suffer the indignity of having our speaking filmed and played back to us. I tend to move my hands like a puppet on speed, so this should make for painful viewing. Otherwise, this city is hot (with a capital HOT). I really don’t see how the first Irish immigrants coped without AC. Perhaps that explains the alcoholism (and, btw, I haven’t touched a drop of the stuff, despite spotting 5 Irish pubs so far). It’ll be very interesting to see the contrasts between the European and American outlooks. When in Sociology we Europeans were asked to state our religious beliefs, only two out of 17 were religious so it’ll be interesting to see how the YMCA find that.